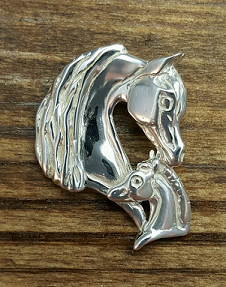 A mothers love Arabian mare and foal pendant. A beautiful piece with a hidden nail on the back showcases the love between mother and baby. Show some love to all the moms out there with this gorgeous pendant.